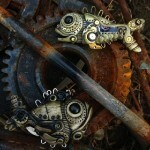 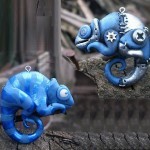 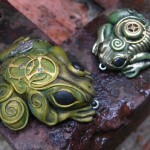 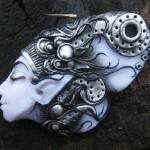 Designer, jeweler and steampunk artist Maria Jia lives and works in Krasnodar, Russia. 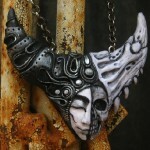 Beautiful and talented artist graduated from Krasnodar Art School. 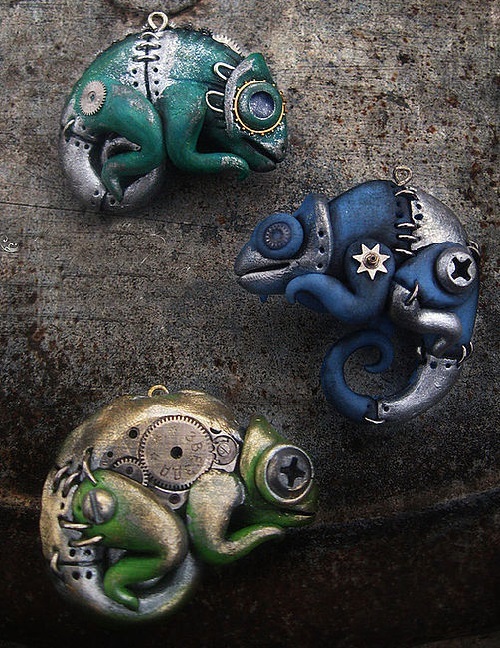 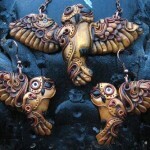 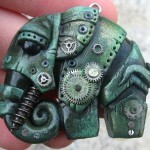 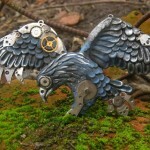 She makes jewelry in the style of steampunk, cyberpunk, and bio-mechanics. 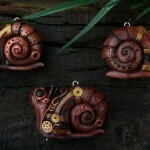 Basic materials for her hand-made art – polymer clay, clockworks, acrylic, and lacquer. 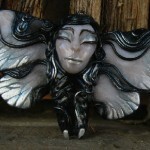 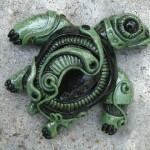 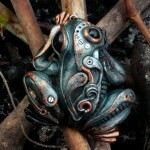 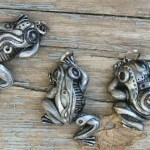 Amphibians and reptiles, fantasy and mystic characters – the main inspiration for her art. 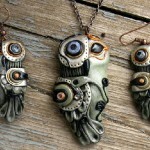 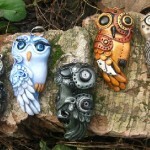 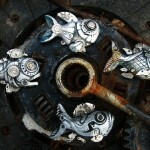 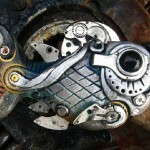 Maria shares her crafts conducting workshops on steampunk jewelry. 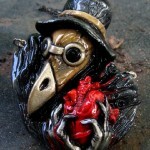 Plague doctor – medieval doctor who specializes in the medical practice of the bubonic plague. 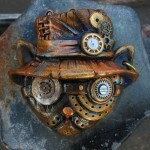 A distinctive feature of the suit is characteristic of the mask as a huge beak. 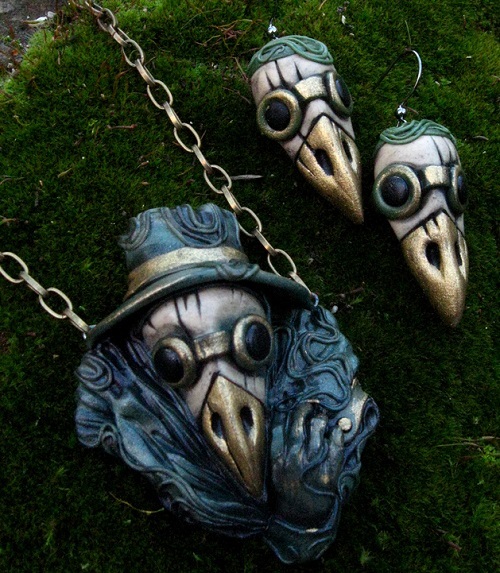 The mask also had glass inserts to protect the eyes, and the “beak” stores various flowers and herbs designed to protect the doctor from the putrid smell and stop the spread of “miasma” – poisonous fumes caused by, according to the then healers, plague. 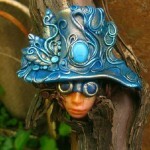 Noteworthy, scarab symbolizes truth, light and rebirth. 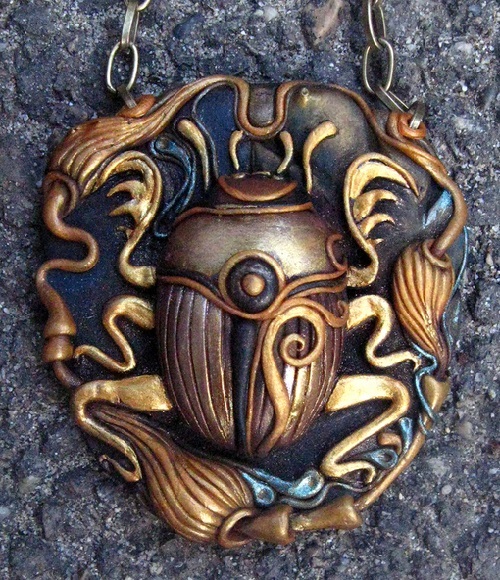 Besides, scarab on the talisman – symbolizes the divine part of human nature, and its wings are hidden beneath the hard shell mean hiding the human soul beneath the earth’s shell.